Each preschool class builds upon the foundation established by the prior class and continues to provide meaningful experiences to foster the development of the whole child. Our Just for Me Two program is designed to support an early learner through the use of predictable routines and age appropriate materials. Focus for this class is in the area of socialization, exploration and independence! The main focus of our Junior program is to continue developing social and emotional skills, gaining independence as well as developmentally appropriate kindergarten readiness skills. Our Senior class builds upon the foundation established in the Junior class and continues to foster the development of the whole child. Kindergarten readiness skills are the focus of this class. 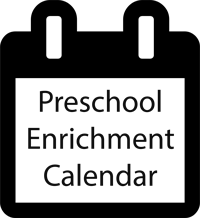 Our Preschool enrichment classes extend the day for your child with wonderful educational opportunities. Our preschool enrichment classes include Discovery Math, Discovery STEAM, BookWorms Literacy Author Study, LaPetite Masters Art, and Discovery Kids America Explorers. Children will take what is useful to them and apply it to their everyday lives. Each class will increase children's love for learning while enriching their language arts skills, science, social studies and other subject areas within the Illinois Department of Education Early Childhood Learning Standards. Children will take what is useful to them and apply it to their everyday lives. 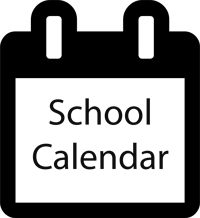 Our Kindergarten enrichment classes enhance your child's kindergarten experience with project based learning and developmental appropriate challenges while meeting the Illinois Kindergarten Common Core Standards. We offer Kindergarten BookWorms Literacy Author Study and Discovery Kids World Explorers, a study of various countries around the world. Our enrichment teachers are certified in ECE or Elementary Education! 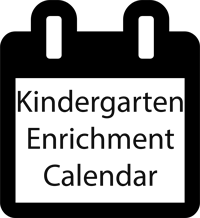 Our Kindergarten enrichment classes give your child the opportunity to explore, learn and grow as we supplement the Kindergarten half day curriculum!